- Attractive silver lock! 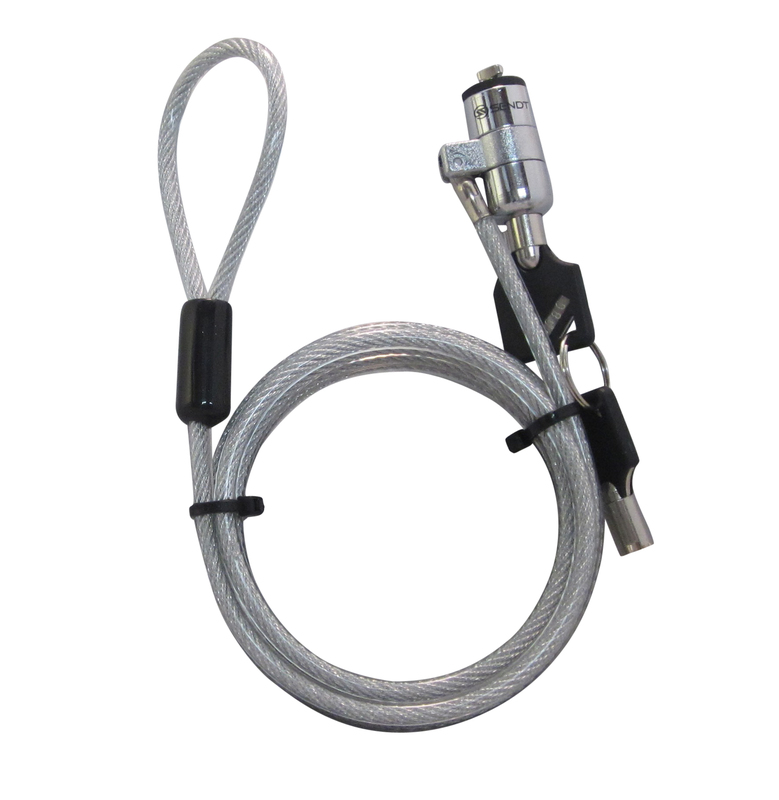 Cut resistant cable! Easy to install! Two keys included! - Suitable for most digital devices fitted with a security slot! 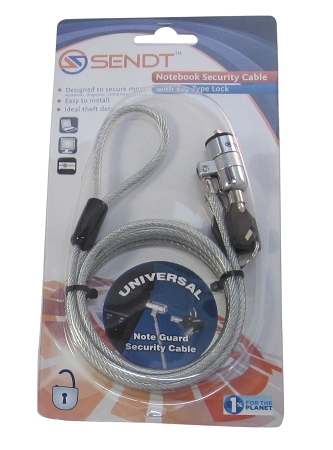 The Sendt keyed lock security cable is easy to install and an ideal theft deterrent. In addition to securing a notebook or laptop, it may be used with a netbook, LCD screen, plasma screen, projector and will fit any device that has a Kensington compatible security slot. Warranty: All Sendt products come with a 1 year limited warranty against manufacturing defect. 1% For The Planet: Sendt is a proud member of 1% for the planet. At least 1% of sales on all Sendt branded products are donated to 1% For The Planet approved charities.